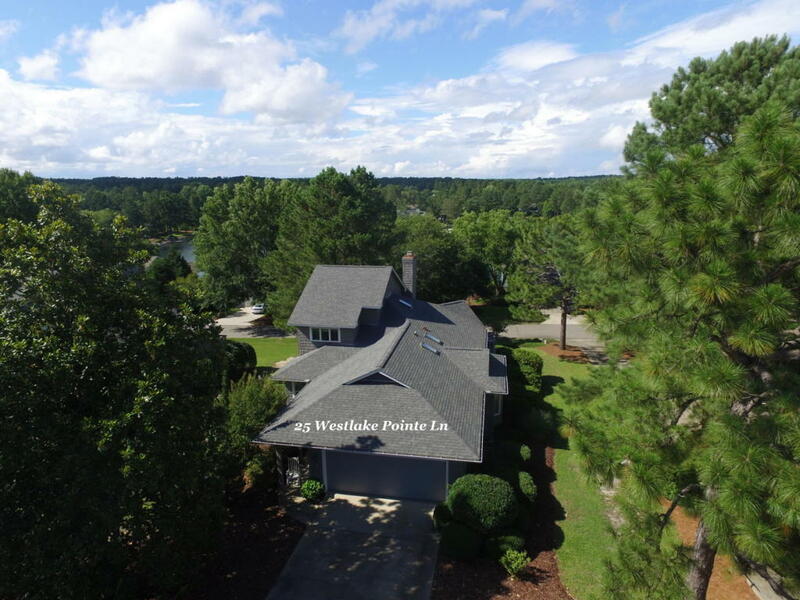 Beautiful home with views of Lake Pinehurst nestled in Westlake Pointe neighborhood. This home offers lock and leave convenience with one level style living. The open floor plan and vaulted ceilings invites ample natural light through the living/dining areas. Views of Lake Pinehurst can be seen from most rooms in the home. The expansive back deck offers the best views of Lake Pinehurst. A number of improvements have been made on the property over the past couple of years. New Roof 2012 freshly painted exterior 2012, and new refrigerator in 2015. Pinehurst CC membership is available with buyer to pay prevailing transfer fee.